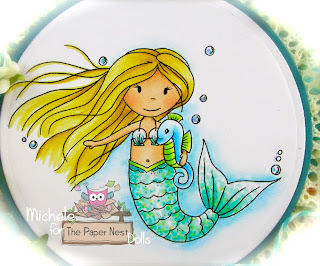 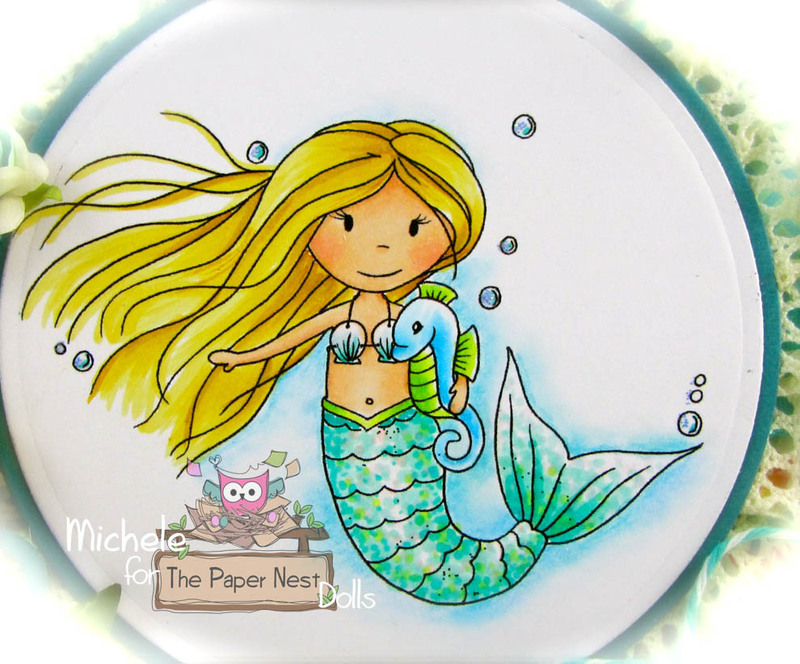 It's Michele Here with my Card, using " Mermaid Ellie with seahorse"
I colored this pretty little mermaid with Copic markers and added just a bit of Prisma pencil with a Polychromos pencil around bottom part to give an added dimension of water. Design paper: MME "My Girl"
Gorgeous! 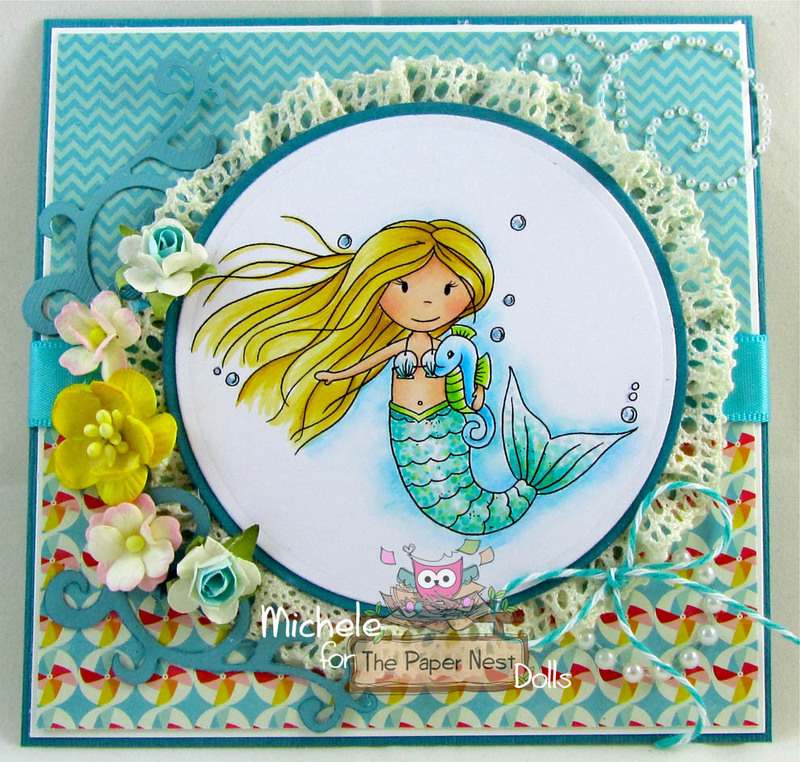 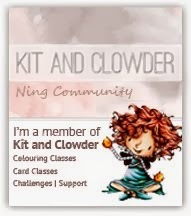 I love the colors, and the layout; it's definitely a water theme and I love it!